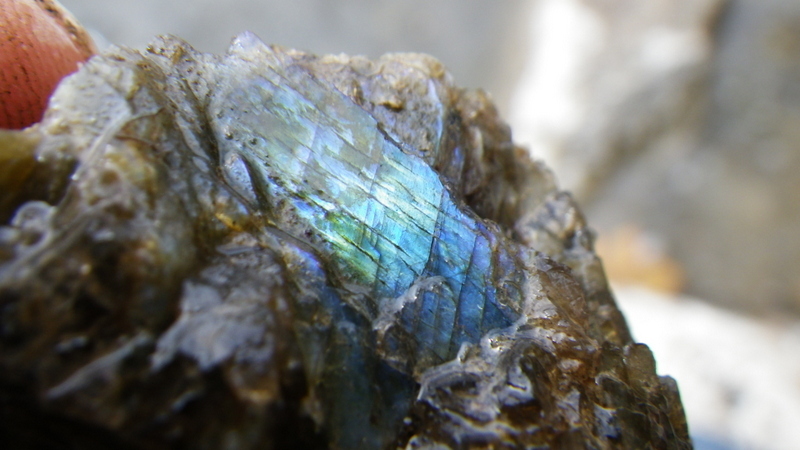 Above: A shard of peristerite from Crystal Lake Ontario. A gem quality feldspar that is found in abundance in the tailings. In the three volume series, ‘Rockhound’, you’ll explore what it means to collect minerals in the skarns and pegmatites of the north. We’ll travel to forgotten settlements and ghost towns and you’ll visit the famous mining camps of Cobalt, Eldorado and Gowganda. Directions within the ‘Rockhound Series’ will take you to little known deposits that yield some amazing specimens. When you apply what you’ve learned you’ll find crystals and minerals in a diversity of species that will astound you. In the first volume of this series you’ll be shown where to find coltan, amazonite, tourmaline, gold, zircon, silver, beryl, fluorite, titanite and more. Click here to visit the Rockhoundbook.com website from whence a copy of Rockhound can be purchased. Whether you’re a serious collector or a casual enthusiast, ‘Rockhound’ will take you where you need to go and show you what you never believed possible in the mines and forests of the north.